Alright, so you may not turn your clients any softer by sending an email. However, there is potential to get them interested in your website, business, and the products or services you sell. 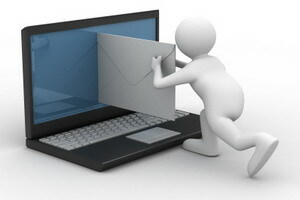 In a few posts we have discusses the soft approach to email campaigns. This time it is not about soft or hard approaches, but softening up your clients so they are more likely to make a purchase. The holiday season is upon us. The minute it hit November, consumers knew the emails would start rolling in from brand name companies. Now is the time for small businesses to leave their mark. At holiday times, consumers are looking for bargains. They are also looking to spend money, whether they have a lot to spend or not. With bargains also come chances of more purchases. You can take advantage of this just like those brand name competitors. Here are some techniques you might use to soften your clients towards purchasing from you. Start planning the email. What do you want to say? What are you willing to offer as a bargain? Is it something they need or want? How can you turn your product or service into something the consumer needs or wants? Make your email into a hard sell. There is no time to be soft during the holidays. You need to make it very clear what the consumer can expect from you and the benefits to them. Sell the benefits with power words. Words such as unlimited, power, secrets, knowledge, did you know, do you know you can, imagine, and picture this are all very powerful. They get the client to think and act. Have a call to action in the email. This needs to come at the bottom and make certain they will have the feeling that they need to follow that link. The overall email needs to be short, crisp, and clear. There should be a specific set of features, benefits, and overall desire shown for the consumer. Use no more than 200 words to get your point across for this hard sell email. Use a lot of pictures. Always have pictures of the products or coupons you are giving out. The promotion picture plus your words will help the consumer understand exactly what you are giving them. The subject line deserves its own paragraph because this is the only way you are going to get your target consumer to even look at the content. The subject line has to have the most power to get the attention of your readers. For products it is fairly easy. You have decided to offer buy one, get one free; buy two, get one free; buy one, get 50% off; or simply buy and get some percentage off. This makes it simple because you are offering the product at a discount. You need to have a time limitation to the coupon. You should have one each week for the holidays, but you need to limit it to the weekend or specific weekdays. You also need to vary the product and the amount of the discount or offer. This keeps the products fresh in the minds of your targets plus helps you reach more than one type of consumer. Always have your name in the subject line so they know what brand you are and thus link to your sales items. For services it can be more difficult. You can certainly offer a discount on your usual prices, but you may not have something that is readily sold during the holidays. Still target your subject line to get the most interest by explaining exactly what service and discount you are providing. This is how you can soften up your consumers with an email campaign for the holidays. Let your business gain some revenue this year during the holidays. © 2019 Email Responsibly. All rights reserved.